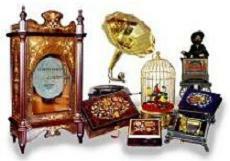 THE MUSIC BOX SHOP, UK, MUSIC BOXES, JEWELLERY BOXES, REUGE MUSIC BOXES, MUSIC BOX GIFTS, CAROUSELS, INSTRUMENTS, ORGANS, DEAN. A One Stop Shop For All Your Musical Products, Musical Instruments, Music Boxes, Music Gifts And Much More, For All Things Music Related You Have Found The Right Place. Please Choose Your Musical Destination. The Bristol Showmen's Stores was Originally Founded in 1909, to supply showmens goods such as mechanical fairground organs, electric light bulbs, fairground carvings, paintings, fair organ music books, and to service, tune and repair fairground pipe organs. Today this historic name can still be seen as the brand name on some of the products and organ music supplied by Dean Organs the last remaining Bristol family business still repairing and building fairground organs. Walsh Brothers Clocks Watches and Jewellery, High Street Jewellery Shop with a wide range and international delivery. The Music Box Shop and Shop 4 Music Boxes bring you the best in music boxes, musical jewellery boxes, Reuge music boxes, Jobin music boxes, jewelry boxes, Carousel music boxes, childrens jewellery boxes, musical gifts, musical novelties, and many more music related gift items. Music Shop Direct brings you our retail music shop with the best in electric and acoustic guitars, banjos, mandolins, violins, strings, amps, gig bags, sheet music, music rlated gifts and much more. Dean Organ Builders and Dean Organs . com and . net bring you our range of new fairground and street organs, perforated roll and book music, we also have a sales and wants page for organs, barrel pianos, orchestrions, music boxes and other related musical items, fairground items and musical boxes. Remember we are a retail shop, so if you need help choosing your musical instruments, music box, musical jewellery boxes or music gift and you are local to us, then why not call in and let our friendly helpful staff give you some advise on your purchase, we are always pleased to help you find the right gift for that special occasion. If it's your first time in a music shop to buy that first guitar or musical instrument, then we will be only too pleased to give you the benefit of our knowledge so that you find the right musical product for your specific needs. If you are not local then don't worry, you can get the same level of help and advice over the telephone, just give us a call, our general enquiries line is 01275 834474 or we have a dedicated order line 01275 830830. We hope you enjoy your shopping experience with the original Dean Organs Company "family businesses in Whitchurch since 1939". We were one of the first companies in England to offer new musical boxes, for sale by mail order, or from our retail shop in Whitchurch village. This is our original web site. We know how some people are still worried about buying direct online so this music box site is aimed at those people who like to order over the telephone. We are a retail music shop and our friendly helpful staff are always willing to help you pick the perfect musical jewellery box or a luxury music box from the swiss ranges of Reuge or Jobin, or perhaps that special musical gift. Dean Organs is one of Englands few specalists in the art of building, manufacture and restoration of mechanical fairground and barrel organs, street organs, barrel pianos, perforated cardboard book music and associated products. Here you will find our web site and be able to view our mechanical fairground organs and street organs. For all your music boxes, musical gifts, jewellery boxes and musical instrument needs. We stock and sell from our retail shop and by mail order via our websites and over the telephone. Our product range includes Music Boxes, Jewellery Boxes, Musical Boxes, Musical Gifts, Reuge Music Boxes, Jobin Music Boxes, Musical Jewellery Boxes, Musical Novelties, Electric Guitars, Acoustic Guitars, Guitar Strings, Guitar Accessories, Violins, Woodwind,Musical Instruments, Sheet Music, Fairground Organs, Barrel Organs, Music Rolls, Perforated Music, Mechanical Music, Barrel Pianos and all other music box and musical gift related items. Music Boxes make Unique Christmas Gift Ideas, Christening Gifts, Anniversary Gifts, Birthday Gifts and of course all other special occasions! At Shop 4 Music Boxes we offer a range of new music boxes,music gifts and music box products for sale direct by mail order from our online store, bringing our retail shop direct to your home via the web.So if you are not local to our shop you do not have to miss out on our great musical gift products. We have a wide selection of musical jewellery boxes and luxury music boxes from the swiss manufacturers Reuge and Jobin together with a range of musical gift ware and musical related gift ideas. For Music Boxes, Music Gifts Etc. At Music Shop Direct we offer a range of musical instruments and music shop products for sale direct by mail order from our online store, bringing our retail music shop direct to your home via the web. So if you are not local to our music shop you do not have to miss out on our great musical products. We have a wide selection of Electric and Acoustic guitars and other musical instruments and accessories all available online to mail order. For Music Accessories, Guitars Etc. 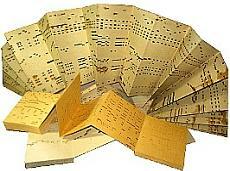 You can purchase music gifts, music boxes, musical instruments and musical products by mail order using credit card. We Specialise in Jobin Swiss Music Boxes, Reuge Swiss Music Boxes, Inlaid Musical Jewellery Boxes, As Well As Our Carefully Selected Range Of Children's Music Boxes, Musical Carousels,Music Gifts And Musical Related Gifts And Music Collectables, Which All Make Wonderful Gifts For Any Occasion.